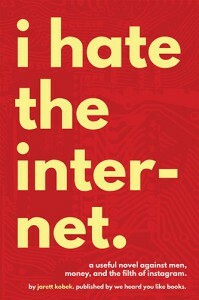 A new post over at Reading Rainstorm, regarding the blistering novel by Jarret Kobek, I Hate the Internet. Check out it! My latest blog post, featuring a few entries from the interesting noir anthology series, Akashic Noir, featuring local author's detailing the dark, gritty side to their cities' personalities. Next entry on Reading Rainstorm; a rather disappointing trio of books about one of my favorite vacation locales, Door County, Wisconsin. Finally, the first post on my blog! All Adventure Time, all the time in this entry! New Blog at Reading Rainstorm! I've started posting more of my thoughts and feelings regarding my reading at my new WordPress blog, continuing the name of my BookLikes account! Check it out! I attended a very interesting little event at the St. Paul Public Library a few weeks ago and have just gotten around to writing about it! Music of the Jazz Age was a relaxing, casual Sunday afternoon event held at the ornate Magazine Room on the third floor of the George Latimer Central Library. This was one of the first events by a new literary group in the Twin Cities, Fitzgerald in St. Paul, a nonprofit dedicated to celebrating the achievements of classic American author F. Scott Fitzgerald in his hometown of St. Paul. This is particularly interesting to me as I prepare to move in with my sweetheart into Fitzgerald’s very own neighborhood in St. Paul! As was mentioned by the librarian in the introduction to the Music of the Jazz Age program, we were walking in the footsteps of Fitzgerald in at the George Latimer Central Library, and in my own daily life too! Of note, the Magazine Room also houses the F. Scott Fitzgerald Reading Alcove. It was a superb space to listen to some of the music of his time. Fitzgerald and his wife Zelda Fitzgerald themselves coined the term “the Jazz Age,” to refer to the era they lived in, and some very talented musicians were invited to perform some examples of the jazz that inspired the moniker. Vocalist Connie Evingson, accompanied by Dan Chouinard on piano and Chris Bates on bass, performed some elegant renditions of some popular pieces from the 1920s, including some mentioned in a few of Fitzgerald’s stories. Three O’Clock in the Morning, one of the songs sung by Evingson, was mentioned in The Great Gatsby, for instance. A few excerpts from Fitzgerald’s works were read and one felt almost as though one had gone back in time, to when you were actually allowed to smoke in the library! Although Lindsay and I were among a handful of people under age 50 in the audience, I would recommend people of all ages keeping an eye on Fitzgerald in St. Paul, which will be offering a monthly series the first Sunday of every month at FitzFirst@Four. The next one, at Common Good Books, discusses Fitzgerald's story The Rich Boy on April 3rd at 4 pm. Similar stories appear in one of the books I mentioned in my entry My Twin Cities Reading List, The St. Paul Stories of F.
Next, I think I’ll be reading this book, A Guide to F. Scott Fitzgerald’s St. Paul. Over the last few years or so, I have started to delve into the complex and tasty world of beer. Never much of a drinker in my past, after one of my friends started up a hobby of homebrewing I slowly began to ease into beer tasting. I’m not quite an expert connoisseur yet, but I’m enjoying this new hobby! I even tried my own hand at home brewing recently, brewing two of my own beers. One rather successfully, and the other, well, less so. During my quest for better beer knowledge, I consulted a few books in recent months. Here are a few highlights! The Beer Wench’s Guide to Beer, read courtesy of my local library's collection of ebooks, was a casual, informative first place to go to explore the wide, crazy world of craft beer and what all of these weird words even mean; stouts and porters, ales and lagers, imperials versus doppels, for example. From the brewing process to judging the finished products using the correct terminology, Ashley Routson (aka, the “beer wench”) writes in an engaging, breezy way that makes even the drier aspects of beer culture interesting. Describing and introducing all the various styles of beer, from the ancient to the postmodern, she also mentions which foods they pair well with, and which other drinks they are most similar to for those hoping to expand their palates of alcoholic beverages to beer. Among my favorite aspects were the gr eat beer related recipes included, of which I will have to take more time to explore later. There are a lot of beer list books out there; one that is particularly interesting for the traveling beer enthusiast is Great Beers. Not a bad place to begin looking at the wide variety of beer that exist in the world, though really, this is a list of 350 breweries, each with a couple of beers highlighted. Each entry profiles a brewery, in alphabetical order, along with a photo of one of its flagship bottles and some description of couple of the beers the brew. None of the descriptions, of the beers or the breweries, are very in depth, though it does give good highlights of some of the global beers to look out for while traveling. I've personally tasted beers from about twenty of them. Though an international list of beers, not surprisingly, most of the entries focus on beer areas with high concentration of breweries, largely European locales. Travel itineraries are also provided for touring these regions: England, Brussels, Prague, Germany, and one non-European location, Oregon. Other regions of the world, if represented at all, typically only have a single brewery entry. The index is not very useful, consisting of only a list of the included 700 beers featured, regardless of brewery, and no index dividing them by locations. This would make make it difficult to use the book as reference while traveling. Really just a basic list of breweries in a rather compact book, Great Beers is a fun, if bare bones, coffee table book. Written just at the dawn of the burgeoning crop of independent craft and microbreweries across Minnesota (and the nation), Land of Amber Waters is an exhaustive and informative treatise of the history of commercial beer brewing in the state. Author Doug Hoverson has compiled what must be the deepest resource available on the topic, a veritable flowing tap of beer knowledge. While not as well known or populous as the beer brewing tradition of our neighbor, Wisconsin (though, who could be? ), Hoverson illustrates that Minnesota had an important footprint on the history of beer culture in the US. We can, for instance, boast the inventors of the first malt beverage and one of the most beloved mid-20th century corporate mascots, the Hamm's bear (a vintage ad is included at the intro of this article). After successfully making some cider and a variety of homebrewed sodas (as well as getting started on some mead and wine) from Emma Christensen’s first book, Better Beer Brewing, this one was a must read. After checking out a variety of homebrewing how-to books, trying to get started on brewing my own beer, I felt that hers was the most user friendly, nicely organized, and comprehensive I looked at, offering instructions for a lot of varieties of beer, including gluten-free types. Whether starting with with simple extract based kits, or going all in with all grain recipes, Christensen shares all of the equipment, ingredients, and background information you will need. Along with plenty of troubleshooting info on how to respond to questions and things going wrong along the brewing process, it really is a great place to start. Christensen focuses on gallon batches, which makes easy to just pick up and start brewing, especially in cramped quarters, but there are also recipes provided for larger batches as well once you get the procedure down. I tried the recipes for a couple of old fashioned, historic types in the British and Session ale styles, a “braggot,” which is a mead-beer hybrid, and a “gruit,” which is an ancient Scottish style using fresh herbs rather than hops. All in all, for my first attempt, I think the braggot worked out, making an extremely alcoholic heavy beer, while the gruit, sadly, didn’t work out, but as Christiansen points out, you have to start somewhere! "The oldest and strongest emotion of mankind is fear. And the oldest and strongest kind of fear is fear of the unknown." Supernatural Horror in Literature by H.P. Lovecraft, 1927. “Everything I do is for a reason, and I know none of them. Everything makes sense, and the sense is hidden from me. We live in a pattern that we’ll never detect, and that will shuffle us through invisible hierarchies to the actual death of us.” Diane Crayton, Welcome to Night Vale by Joseph Fink and Jeffrey Cranor, 2015. There is so much in the world we don’t fully understand, such as why some people are stricken with disease and others stay healthy, we we can’t seem to end prejudice, or why it’s 50 degrees in Minnesota in February! Two of the most common literary responses to these mysteries of reality is to laugh at them or to demonize them. The latter is definitely true in the work of the influential 20th century horror author H.P. Lovecraft, who sublimated his xenophobic hatreds into some of the century's most influential stories of fear, drawing them away from the supernatural past and into the scientific future, forging the idea of “cosmic” horror. The former is definitely true of the writing of Joseph Fink and Jeffrey Cranor in their breakout podcast, Welcome to Night Vale, which they have recently spun off into a novel. Night Vale, another weird world of cosmic horror where nothing makes sense, infuses these themes with a droll humor. Interestingly, both of these takes have taken deep root on the internet, which was presaged in many ways by Lovecraft and which birthed the writings of Fink and Cranor. Recently, I completed reading the latest collection of Lovecraft’s work, The New Annotated H.P. Lovecraft, while listening to the Welcome to Night Vale podcast and reading the novel as well. After listening to Fink and Cranor speak at Talking Volumes at the Fitzgerald Theater in St. Paul last October, I was intrigued to read more about their world and philosophies. It is very interesting to compare and contrast the ideas of these very different authors separated by a century of pop culture and the fandoms that spawn, shoggoth-like, around them. The New Annotated H.P. Lovecraft, edited by Leslie S. Klinger, is a lovingly curated collection of some Lovecraft's most powerful and complex stories, describing all of the obscure references and nods to historical, literary, and popular culture he included in his writings. You could spend almost as much time pursuing the footnotes as reading the stories, which Klinger focuses on Lovecraft's "Arkham Country," the fictional towns he situated in Massachusetts. By keeping most of the stories grounded in New England, the collection highlights Lovecraft’s strength, his ability to draw from local history and myth. An old fashioned New England bigot with an endearing interest in modern science and an skeptical devotion to atheism, Lovecraft himself was an intriguing, and disquieting, bundle of neurotic contradictions. With beliefs frankly extreme even for the 1920s and ‘30s, the “Nadir of Race Relations in America,” his disgusting racist and sexist views are well known and disturbing in their virulence. Yet he was also ahead of his time in many ways, in particular his desire to correspond with like minded people across the country, writing tens of thousands of letters to other writers and artists. For me, Lovecraft's writing creates impeccable atmosphere and, if unconventional, really draws the reader into the detached yet fraught emotional state of his typical academic narrator thrust into horrific circumstances. Most effective through the first person voice, often through journal entries or letters explaining how a character happened to go mad, this detached, academic style gives the terrible events of the stories a hint of realism, like a found document or historic account. On the other hand, some criticism of his style is understandable; Lovecraft's work is full of pages of exposition, overwrought descriptions, and he simply did not do dialogue. However, for me the style is well suited for the subject matter of totally unknown alien elements intruding on a once comfortably understood world. That this world includes deeply xenophobic undertones, equating any difference in background or heritage, whether racial or actually alien with inhuman incomprehensibility is a dark current throughout his work. Could my own personal disgust and hatred of these ideas be part of the reason why the work disturbs and resonates with me so much? It is Lovecraft's philosophy of telling his weird tales that I most appreciate, however. Written from a materialist perspective in which the "supernatural" are simply forces in the universe that humanity does not and can not understand; no comfortably understandable depraved vampires, angry ghosts, or seductive demons here. The cosmos is infinite, cold, ancient, and totally unconnected to human emotions and ideas. This I find far more chilling than, say, serial killers. As someone who craves knowledge, I am sure that I too, like his characters, would succumb to learning too much about our minute and tenuous place in the universe. In stories such as "The Colour Out of Space," "The Whisperer in Darkness," and "The Shadow Over Innsmouth," Lovecraft's mastery of evoking dread and fear of the unknown as strange and alien influences converge horribly in small New England towns, bringing madness to unlucky folklorists, students, and artists. However, in re-reading Lovecraft's work, I definitely find myself less and less enamored of his prose and pacing. At the Mountains of Madness, in particular, is a story I don't think I’ll ever feel the need to read again. While his ideas are quite interesting and his descriptions very evocative, his is truly a “telling, not showing” style as the protagonists simply narrate to us the millennial long history of the Old Ones by simply describing their apparently exhaustive bas reliefs. Interestingly, probably my favorite adaptations of Lovecraft’s stories (even more so than the stories themselves) are the H.P. Lovecraft Historical Society's’ 1930s-style radio-play productions of his works. I would highly recommend checking these out first for anyone intrigued by Lovecraft’s work who is not so interested in slogging through his writing. I find the audio productions from HPLS really brings out both the time period and the ideas explored in Lovecraft in a way that draws the listeners even more deeply into his disturbing world. This, I think, is a good segue into Welcome to Night Vale, another audio production that uses the medium of radio to draw listeners into an inexplicable, eerie world. It is very interesting to compare and contrast the style and philosophy of Lovecraft with that of Fink and Cranor, and their respective writings. Fink and Cranor have gone on the record to express their dislike of Lovecraft’s work and their disgust of his personality. However, the style and themes they deal with would, I feel, be impossible without him. Without delving into an explicitly “Cthulhu Mythos” motifs, I feel that they are among the most uniquely Lovecraftian writers working today. Both deal with things we cannot comprehend, things that are inexplicable, indescribable, and vague and beyond human knowledge. Both situate these horrors in our own comfortable everyday world we think we already understand. But Night Vale brings the alien and inexplicable horrors from outside of human experience and puts it right into its heart. Where Lovecraft would evoke the visceral horrors of things from outside reaching their hideous tentacles into our comfortable worlds, Fink and Cranor express the horror of our daily lives that are already here; the madness of political elections, municipal edicts, and damaging prejudices. Both express these fears in terms of inexplicable creatures and hooded figures, but in one case they are foreign impositions (deep ones asking to mate with humankind) and in the other, they (the Glow Cloud) run the PTA. In Lovecraft, encountering these things sends humans into a spiral of existential angst as they realize how small and insignificant humankind is. In the other, people just shrug and hope to get through another day, maybe get some of Big Rico’s pizza for dinner. Fink and Cranor deal with these themes in even more explicit terms in their first novelization of Night Vale. In the novel, Fink and Cranor continue building the world they developed in the Welcome to Night Vale podcast. An absurdist mix of cosmic horror and humane comedy, each contracting element played completely deadpan, Night Vale is a town where “every conspiracy is true” and little, if nothing, makes any sense. There is little, if any, overarching plot of the Welcome to Night Vale podcast, though, within the novel, this has changed a little. Focusing in on minor characters Diane Crayton and Jackie Fierro as they begin their search for the identity of the vaguely sinister Man in the Tan Jacket Carrying a Deerskin Suitcase, a man no one can remember anything about after meeting him, some mysteries are answered, in ways that may or may not be vaguely satisfying. I have written a more detailed review of Welcome to Night Vale: A Novel on Goodreads, over here. In spite of building on similar motifs, the writing styles of Fink and Cranor, though also heavily reliant on description, different in several ways from that of Lovecraft. They have developed a very distinctive voice that comes through clearly throughout the podcast and the novel. Whereas Lovecraft spends a lot of his work “describing the indescribable,” mentioning how something was so horrible it could not even be thought about, only to spend several paragraphs narrating exactly how bizarre this unspeakable alien thing is, Fink and Cranor are much vaguer, setting up dozens of ideas only to abandon them quickly. Characters are described as “neither tall nor short,” or as of mixed race parentage with no mention of the respective ethnicity of either of her parents. People are as difficult to define here as the vague but menacing government agencies or Yog-Sothoth. This is seen in the novel’s main mysterious figure, the Man in a Tan Jacket, a man who no one else in Night Vale can remember a thing about. As can be inferred from the example of the impossible to recall but definitely male and tan jacketed character above, paradoxes lurk throughout their writing. The people of Night Vale are very adept at ignoring things that exist when told to do so, whether angels named Erika or the unending horror that is life in Night Vale. Fink and Cranor use repetition intensely, both in the themes of the show and the cadences of each story, but also in their language- characters repeat themselves often for emphasis. Never, for instance, is John Peters (you know, the farmer?) mentioned without reminding the audience that he is, you know, a farmer. Never are wheat (or wheat by-products) mentioned without mentioning both wheat (and its byproducts). The basic flow of the podcast is Cecil announcing some sort of routine community news (a food product recall, an upcoming football game, or a new shop in town), only infused with some sort of horror, fantasy, or sci-fi motif. These weird juxtapositions of the commonplace and the bizarre make up the bulk of the humor in Night Vale. Fink and Cranor are also much more heavy on dialog, in fact, the entire podcast could be said to be dialog. So much of it is tied into the dulcet tones of narrator Cecil Baldwin as Night Vale Radio announcer Cecil Palmer, and the eerie, atmospheric music of the band, Disparition, it loses some of its impact in novelization. The novel includes a full transcript, in fact, of a typical day's radio program with Cecil, lacking only the “weather” (an interlude to some music from a new, creative, and upcoming band or musician) and the signature writing style of Fink and Cranor is recognizable immediately. It is the absurdity of these long-winded descriptions, as Cecil describes the day’s horror du jour and the people in town find themselves once again being sucked into alternate dimensions via plastic pink lawn flamingos, that accounts for the novel’s droll humor. Well, what can you do? One thing that defines the work of Cranor and Fink is their inclusivity, including roles for people of color, differently abled people, and in particular sexual orientation. In Lovecraft’s work, the protagonists are all white Anglo-Saxon Protestant men, highly educated and from wealthy backgrounds, (idealized representations of the poor, self educated Lovecraft himself) and roles for women and people of color are almost exclusively cultists and degenerates. His racist fears are evident in every story of miscegenation, primitive resurgence, and fall of a great civilization. Night Vale is an entirely different take; from Cecil’s condemnation of the “Apache Tracker,” the white guy who wears an insulting “Indian” headdress in the very first episode, and uses the talents of many people of color in the voicework. However, most people are left entirely undefined in their ethnicity, though there is a strong commitment to diversity in the names used and the stories highlighted. This is, of course, exemplified in the centerpiece of the series, the adorable relationship between Cecil and his boyfriend, the perfect scientist, Carlos. On the other hand, this could be seen as an entirely facile attempt to make a “colorblind” world, where one’s race or gender is not worthy even of discussion, a common issue in progressive circles of white liberals. Still, this opens the world up a lot more to people from many backgrounds to see themselves in the town of Night Vale. As a librarian, of course, I spread knowledge to people, both through book lending and by answering, to the best of my (and google’s) abilities, patrons’ varied questions about, well, pretty much everything. Ancient tomes in Lovecraft are dangerous, and full of ideas that could cripple your ability to function in society. Books of all sorts are all but banned in Night Vale, since knowing anything is an issue there. Nearly any institution for communication, information sharing, and learning is suspect and dangerous in Night Vale- the Town Council is an eldritch monstrosity, as are newscasters and, of course, librarians. Among the most interesting sections was Diane and Jackie’s foray into the library for knowledge, barely surviving an encounter with the ravenous, information literacy bestowing creatures. Even the laws that may or may not save you are forbidden knowledge- of course, the town council is certain to inform the citizens of their new and pointless edicts through Cecil, but with the caveat that this is forbidden knowledge that must be quickly forgotten on pain of being vanished. So, breaking any of the many arbitrary laws is illegal but so is knowing what those laws are. With Lovecraft, we can see this stemming from his deep misanthropy and belief that people “cannot handle the truth,” but why depict knowledge as so intrinsically dangerous in Night Vale? I guess, because knowledge is dangerous! 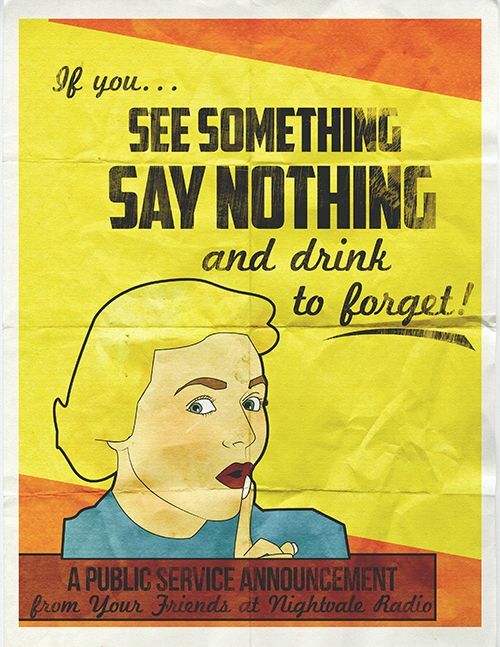 If everyone knew more, one would imagine, people in power would be in a much less secure position. In Night Vale, the inexplicable authorities in charge keep the population in as much ignorance as they can, and the citizens, if there’s one thing they do know, its not to delve too much into anything. So, we fear what we do not know, but we know so little of the universe, how it works, and even of ourselves. How can we have a fear of everything? Perhaps this brings together where both Lovecraft and Night Vale succeed in the online world of fandom. Both are deeply ingrained in “geek” circles, often among the same people. Both offer strange and indescribable worlds that can be cataloged and described by fans, adding fan theories and writing fan fiction. Lovecraft, years before the internet, through his correspondence started up a wide circle of people who wrote pastiche and imitations of his work- fan fiction, basically. Lovecraft provided the props, and Fink and Cranor took them to reflect contemporary ideas. The fans of Night Vale spend hours debating the proper artistic representation of Cecil Palmer through art and cosplay. By filling in these worlds and immersing themselves in them, are people creating a more knowable, comfortable world for themselves? Also, Night Vale, in its irreverent and In any case, both Lovecraft and Night Vale have infiltrated deeply into the consciousness of popular culture and I’m curious to see what else is inspired by their idiosyncratic, dark worlds. Don’t look for answers. Make up your own answers. Over the last few months, I’ve read a few graphic novel adaptations of works of young adult fantasy literature, each of which take different approaches to adapting the source material to a visual format. Like a movie adaption, I must say I generally prefer the book, but of course each offer a different experience in their own ways, and these can be very enjoyable new ways to experience the same story. I can't think of any better style to fit the world and feeling of HDM than from the Franco-Belgian tradition, and Stéphane Melchior-Durand writing and Clément Oubrerie's shadowed, expressive art endows the characters and the world with impressive life, in particular the multitude of people and their daemons. I'm looking forward to the next one! Andrew Donkin and Nicolas Chapuis’ fairly competent graphic novel adaptation of The Amulet of Samarkand, the first in Jonathan Stroud's Bartimeaus trilogy, the humor, action, and witty world building in the novel come through quite well here. Unlike The Golden Compass, though, this adapation is a bit more literal and does not give itself much room for its own, visual interpretation of the world. The setting of a alternate history London under the rule of vindictive and power hungry magicians, including a London Eye incorporating a pentagram into its design, we get a good impression of things we could only imagine in the novel. The precious, yet principled magician Nathaniel and his reluctant accomplice, the ancient djinni Bartimeaus are well adapted. On the other hand, the multiple viewpoints from Bartimeaus and Nathaniel feels a bit muddled in the comic, and it's easy to lose track of who is narrating a specific scene, especially when both characters appear together. Also, attempting to capture all of the biting wit and humor shown by Bartimeaus occasionally bogs down the narrative. The art is nice, but pretty standard YA literary adaptation style. Hopefully, this will stir a reader to tackle the novel and its great sequels. Sean Michael Wilson and illustrator Michiru Morikawa’s adaptation of nineteenth/early twentieth century western student of Japanese culture, Lafcadio Hearn, was another very interesting visual adaptation of the haunting folk stories and legends collected by Hearn. While not quite a “young adult” book, Lafcadio Hearn’s folklore and ghost stories gleaned from his travels across Japan are definitely appropriate for teens, and this comic makes good use of that. While a bit gruesome (with a few severed heads, torn off ears, etc.) the stories here are eerie and suspenseful, in particular my favorites “Hoichi the Earless,” “Yuki-onna,” and, of course, “The Faceless Ghost.” Morikawa's manga style art offers a fun introduction to these classic tales. For anyone interested in Japanese culture, these manga style adaptations should be very interesting, and introduce younger readers to Japanese history and society in addition to spooky (spooky, spooky) ghosts and other yokai. So, here we are more than a week into the New Year, and I’m taking a little time to discuss my new reading project for the year. On Goodreads last year, I set up a rather ludicrous goal of reading two hundred books in 2016, not really planning on succeeding but just wanting to see how far I got. Well, actually, I ended up reading a few more than that! It probably did not hurt that I am working now in a major public library system, in which new books, or strange and interesting books new and old alike are constantly passing through my sight. By the end of the year, of all of the books I read, only fifty were taken from my own shelves. That was like around only twenty-five percent my own books! As I have mentioned before, my shelves are rather overflowing right now, so for this year, I’m really going to concentrate on finishing up a few of my own books, of which I have a lot of interesting ones I’ve been itching to read. As soon as I finish up the pile of library books I’ve got leftover from last year, piled up on top of my chair, of course! This year, then, I'll try to keep myself under two or three library books per month, the rest gleaned from my own, neglected collections. No other "goal" than that, right now! The books attached to this entry are some of the books I've owned which I've had on my reading list for nearly six years now. Yeesh! Well, as promised last week, here is a short list of my favorite books published during 2015 that I read! It seems that this year I focused mainly on non-fiction books and comics, but I guess that not's unusual! Those seem to be my top genres most years! In any case, looking forward to some more awesome reading in 2016! One of my favorite irreverent literary history nerd cartoonists working on the web today, Kate Beaton had an awesome year in books, publishing her first children's work, The Princess and the Pony, as well as the hefty new collection of her webcomic, Hark: A Vagrant, Step Aside Pops! The book is, right off the bat, an absolutely adorable work of children’s literature. However, I feel it is more than that, as well. The cartoony, detailed art lends itself perfectly to the simple story. Princess Pinecone, the littlest warrior, wants to fit in and be a right menace in battles like the other warriors, with their cool helmets, cloaks, and amulets, but for her birthday she receives a roly-poly, farting, none-too-bright pony. Of course, she learns to love the creature and becomes the star of the annual Great Battle, making the lesson ostensibly something like not “looking a gift horse in the mouth.” However, under the surface of this useful little life lesson, there is more going on; this work would appeal, I feel, equally to children of both genders and does not distinguish between what young girls and boys are stereotypically “supposed” to be into; Without any sort of preaching, Beaton illustrates a world that does not condescend to tell readers what they should like. A great picture book for any storytime! 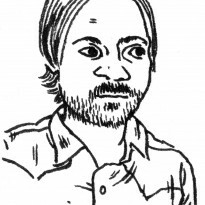 Like Hark: A Vagrant, Jillian Tamaki's funny, witty work of Canadian humor began as a webcomic, but here, instead of cute, nerdy literary and historical references, the focus is on cute, nerdy sci-fi and fantasy tropes, set in that ever popular magical school, with all of the typical and not-so-typical characters. I loved the realistic high school drama coupled with magic, cat people, and people who just can't die! Tamaki's artwork is a great compliment to her writing as well, and I don't think I would ever tire of flipping through this one! It's been awhile since Sarah Vowell’s last captivating collection of essays on a historical topic, sharing her deep interest and love of American history with the reading and listening audience, so I was excited for her latest obsession, the Marquis de Lafayette. Using the idealistic young Frenchman and his quixotic devotion to the cause of the American Revolution to explore how the Revolutionary War have come to be seen by the loosely affiliated United States and his legacy today. Traveling with Vowell as she visits the various sites of the Revolutionary War battles Lafayette participated in across Pennsylvania, we encounter plenty of interesting facts and the usual local eccentrics, including some very interesting Quakers with philosophical opposition to books discussing war. Vowell’s trademark acerbic yet optimistic interpretations of these historic events made Lafayette in the Somewhat United States another absorbing work of popular history. Vowell, I feel, is always particularly adept not only at explaining how these nearly legendary events in our nation's history really went, but connecting them with our culture today as well. This book was a difficult one for me, a book that struck really close to home but one that riveted me with its insights, compassion, and arguments for how our world could be different. In another facet of the century long “war on drugs” that has captured the world, Minneapolis and St. Paul are currently in the grips of a major heroin “epidemic” that has struck the suburbs as well as the city, a close relative being among the victims. Now many from privileged backgrounds have been effected, a debate has sprung up on how to treat this issue. After reading Chasing the Scream, I was able to get some context into the reasons behind this; a very intriguing response to some of the major debates regarding the so called war on drugs. Journalist Johann Hari, himself suffering personal loss and hardship from addiction and drugs, embarked upon a three year quest to discover how things have come to this; with overdoses, poverty, rampant and violent crime, corruption and the host of other social ills, he demonstrates how current global policy, headed by the United States, has failed. His compilation of facts provides a very compelling argument for not online the decriminalization of drugs throughout the world, but their legalization as well, for the purpose of strengthening order. In visiting places where the universal prohibition of narcotics has been loosened, even a little bit, he shows what things could look like in a world just a little different. Kill City” contains a fascinating collection of images, shedding light upon a neglected and oft maligned subculture. These intimate, vivid photographs capture a specific and interesting period in the 1990s, as young squatters, following egalitarian and creative dreams, transformed the Lower East Side neighborhood of Manhattan. While I’ve yet to visit NYC and was in grade school for the majority of the period explored here, the influence of these experimental living space still resonate throughout the country and the world. Thayer’s masterful photography illustrates this important and inspiring community in a way not seen before. I wrote about this very interesting topic back in July in my Reading Online segment of Reading Rainstorms, so check it out over here! Another of my favorites this year, I included this fascinating, gripping collection of essays on a diverse and amazing collection of topics in my entry, Libraries at the End of the World. Through a series of creative nonfiction essays, she explores various interesting topics through the lens of apocalypse and collapse, including popular culture and how your understanding of the past can transform your life in the future. After checking out a variety of homebrewing how-to books, trying to get started on brewing my own beer, I felt that this one was the most user friendly, nicely organized, and comprehensive one I looked at, offering instructions for a lot of varieties of beer, including gluten-free types. Whether starting with with simple extract based kits, or going all in with all grain recipes, Emma Christensen shares all of the equipment, ingredients, and background information you will need. Along with plenty of troubleshooting info on how to respond to questions and things going wrong along the brewing process, it really is a great place to start. Focusing on gallon batches, a batch easier to just pick up and start brewing, especially in cramped quarters, but there are also recipes provided for larger batches as well once you get the procedure down. I tried the recipes for a couple of old fashioned, historic types in the British and Session ale styles, a “braggot,” which is a mead-beer hybrid, and a “gruit,” which is an ancient Scottish style using fresh herbs rather than hops. All in all, for my first attempt, I think the braggot worked out, making an extremely alcoholic heavy beer, while the gruit, sadly, didn’t work out, but as Christensen points out, you have to start somewhere! You never know what to expect in the short stories of China Miéville- that’s not to say they all have a “twist” like in an M. Night Shyamalan movie or anything so obvious. Each story, from the most to the less successful ones included in this collection experiments with the very mechanics of storytelling in some very atmospheric, ingenious and unsettling ways. Each of them is different in subject and style and each takes on a different, genre defying theme. Intricate, complex constructions of language, it really pays off to pay attention to the deeper connotations of each of these tales and this a collection that would really award a second reading, I feel. These stories take the world we know and shake them; maybe immense, floating blocks of ice appear orbiting above London. Maybe a plague strikes that causes people to develop ever deepening trenches or moats in the soil around them- needless to say, a devastating development for modern infrastructure. Maybe an archaeological dig turns up human and non-human beings living in harmony, falling victim to the same volcanic event. Also, the collection includes two of the most chilling stories I’ve read in a long time, “Säcken” and “The Rabbet-” I’ll leave it to other readers to find out more. “The Dowager of Bees” was another of my favorites, about mysterious cards that appear in high stakes card games, with rules of their own that are broken at great peril. I cannot wait to enter the world of words put together by China Miéville once again! Well, well, it is quite hard to believe that the year 2015 is almost over, so I'm going to do a little retrospective of some of the books I read this year, including some I have not yet discussed here at Reading Rainstorm. In order to save the best for last, I'm starting with what I've rated as the worst books I read in 2015. This is a little harder for me. Usually, through either good luck or discernment, I tend to read mostly books I like. The bad ones I toss aside without bothering to get into. On occasion, though, either through obsessive desire to adhere to theme and finish everything or the old "never leave a book unfinished" thing I've been trying to get over, a few epic fails slip through. Whether just all around awful, or disappointing glimmers of goodness, here are a few from this year! Oh boy! This book is ridiculous, utter garbage. If Scott Wolter’s first book was filled with unsupportable suppositions and madcap correlations, this one goes completely off the rails in terms of making any sense whatsoever. I found it nigh unreadable, as the author goes off on tangents that have nothing to do with any subject he’s trying to present; there seems little evidence of any sort of editing, one topic just rolls, turgidly, into the next leaving the reader cut adrift in a sea of nonsense. As a student of the contentious local roadside attraction here in Minnesota, the Kensington Rune Stone (future entry! ), I had to read this. For those not steeped in this strange little world, though, the rest of the bizarre rambling and mean spirited griping of “Akhenaten to the Founding Fathers” is best avoided. Even if it were true that the runestone is an “authentic” fourteenth century inscription, none of it would have anything to do with the frothing pablum presented here; Oreo cookies being imprinted with the same symbology as the runestone (if you squint just right), for example, because Templar/Masons rule the world and wish to secretly let this be known by manufacturing delicious pastries with their symbols on them. It just throws everything in there! The Pyramids! Jesus! George Washington! The weird urban planning of St. Paul, Minnesota! It’s like Assassins Creed fer reals. Wolter’s feelings on these secret rulers he is certain exist seem strangely opaque- I was unable to tell if he actually supports “them” for making a better world, or is trying to warn us of their nefarious plans. In spite of Wolter’s constant invocation of the “scientific method” that he uses above the mushy “social sciences” of his academic opponents, there is not a lick of actual hard evidence or information literacy anywhere to be found in the pages of this book. This was the least successful comic I’ve read this year, with really nothing to recommend it. Mediocre art, dialog hammier than Austin, Minnesota (home of Spam), and a plot about subtle as an Afterschool Special with rabies make LARP! a game I do not want to play. The forced attempts at humor and totally annoying characters notwithstanding, the messages rang hollow and the high school setting and culture seemed dated and hackneyed. I mean, it's been far too long since I’ve actually been in high school, but nothing here rings true in my experience. If this were a TV show, you can bet the characters would be played by actors in their late 20s. Here we have the perennial battle between the “nerds” and the “jocks,” the “cool kids” and the “geeks.” Of course, we’re on the side of the nerds. I found a lot to question about the message, though; pretty much your typical be yourself, and don’t lie to your friends aesop, I guess? Maybe this would have worked if our protagonist Pete, of the super nerdy interests and newly discovered super tennis skills, realized his attempt to hide his gaming from his “cool” new jock friends while keeping his athletic skill from his nerdy “LARPer” friends were simply the product of his own insecurities. However, the “cool jocks” were set up from the beginning as utterly, irredeemably evil bullies- high school kids who harass a grown man in his place of business. Pete seems mainly to be called to task in the comic not merely for lying, but for betraying his “true” kindred among the geeks by practicing tennis- being “cool” and being a bully seem to be one and the same here, as if self-proclaimed geeks could never be bullies. What makes the smirking villains “cool” seems to be vague too, as if playing sports and having a lot of Twitter followers (???) makes you automatically hate and make fun of people who like video games. Even the antagonistic geek group hinted at in the summary join in to humiliatingly defeat the jocks in the ending confrontation. To make matters worse, the book contains one of the most ham-fisted “coming out” twist I’ve ever seen, an event anyone could see coming a mile away from the first insultingly stereotypical word coming out of the character’s mouth. Needless to say, the women in this story are mere tokens and are the real cusp of the dilemma of which clique Pete should join; not who’s less evil, but whose chick is more likely to date him. Wrote a little bit about this one in my last Subcultural Studies Reading Rainstorm post, but might as well toss it under the bus again! It may be that this slight little book is five years past it’s sell by date, but, TBH, I don’t think it had much going for at the get go. Sure, hipster mockery is always good for a cheap laugh, but here I think the author’s own ego detracts from what could be a funny look at goofy people dressed in goofy outfits. Grainy, pixelated, unacknowledged photos of people dressed in weird costumes from the user submitted website are crammed into the pages with some of the least insightful commentary I’ve seen. I mean, a lot of hipster “culture” is certainly ripe for criticism (as the hipster racism demonstrated by the many photos of dumb white kids dressed in absurd and insulting headdresses show), but the limp captions, with questionable use of ableist, transphobic, and racist sentiments seems to smack of hypocrisy (just a little bit). If it were just the pictures, PBR, huge glasses, and thin mustaches it might have had a bit more appeal, but the authors’ rather scolding tone comes off as bitter. Griping at people for not “really believing in anything” and “apathy” for what looks like, apparently, having fun and dressing in silly costumes seems to little more than grumbling, under your breath “what's wrong with kids today!” I haven’t visited the website that spawned the book, but perhaps it has a bit more to offer. I didn't dislike this Danish literary thriller/urban fantasy as much as the others, but I did find it a little disappointing, a quick paced novel that does not quite carry through in delivery. Jon Campelli, a Copenhagen lawyer discovers, upon the mysterious death of his estranged father, an antiquarian bookseller, that reading has more power than even he had ever known of. Drawn into this secretive world of "Lectors," people with arcane abilities to infuse power into the written word, of whom his father was the foremost practitioner in Denmark, Campelli's talents as a lawyer makes him most suitable to mediate in a long standing division between the Lectors of Copenhagen. As he nurtures his own talents and relationships among his father's students, he comes to believe that some other sinister group is responsible for the recent strife in Denmark, including his father's death. The writing in the Library of Shadows is probably its weakest aspect; plenty of egregious info drops, lackluster characterizations, and a tendency to simply narrate what is happening makes it come off as clinical rather than mysterious. Some of the blame could be placed on the translation from the Danish, but I have read other books from the translator which preserves some great writing, so I have to think it stems primarily from the original. While there are a lot of intriguing ideas thrown out there, the powers of the lectors, in spite of plenty of "Well, as you know," moments, did not really come together logically for me. I was often left with a lot more questions on how "receivers" and "transmitters" actually work and what they are actually capable of. Finally, the plot turned out to be woefully predictable, with the "true" villain pretty evident from the first time he is mentioned, and the proceedings just lacked much of a sense of urgency. I had been curious about this conflict among the book magicians of Copenhagen, but I was never really in suspense about anything, even as the nefarious "shadow organization" closes in. The stakes just never seemed that high and the conflict never drew me in. The abrupt ending does not help, and little seems to have been resolved. I'd recommend checking out anything by Eco, Perez-Reverte, or Ruiz Zafón before this one. Well, stay tuned tomorrow for the best of 2015! For those of us who celebrate this holiday, you really can't go back to recapture those feelings you had as a kid on Christmas. I have found that, as the years go on, I'm having less of a connection to the holiday season in general. While my real love still focused on Halloween, as a kid, the glitzy, frenzied season of Christmas was always fun, too, of course, especially with our family get togethers where my sister, my cousin, and I all shared our new toys and ate all the tasty treats, fragrant tangerines and orange flavored chocolate. Our mom's new perfumes we bought for them mixed with the piney smell of the Christmas tree to make the smell of Christmas. Of course, the commercialization of the holiday may have added to this feeling rather than detracted from it. The closest I can come to recapturing the feeling, I think, is by reading some of the books I enjoyed for the holidays as a child, the books we made into quiet, little traditions to reread as we were decorating the Christmas tree, riding home from Christmas shopping at the (long defunct) Conservatory in downtown Minneapolis, baking cookies. These three were our favorites. Somewhere, my parents obtained a cassette copy of this audiobook, and it became a tradition for the reminder of childhood to listen to it in the car while Christmas shopping. On a recent family gathering, I decided to revisit this Christmas tale, using my iPhone this time. It did not take long for the memories to come flowing back, courtesy of the expressive and memorable voice work by the late Elaine Stritch. 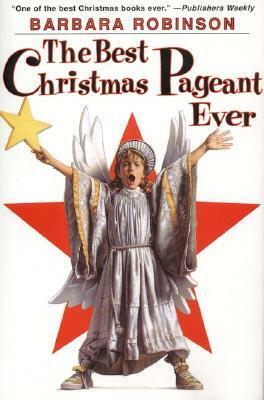 Running at less than an hour, the story is fast paced, funny, and even a little heartwarming, if you're into that; “The Best Christmas Pageant Ever” has not lost its ability to deliver rambunctious laughs and even some messages. Barbara Robinson definitely endows her narrative with a humor that still has kick and characters who will remain with you. For those who did not have the pleasure of listening to (or reading) this classic as kids, it revolves around a small town terrorized by a local family of little ruffians, the Herdmans, known equally for their perfidy as well as their cunning. They burn down small buildings, shoplift, smoke cigars; why, they even take the name of the Lord in vain. Oh my GAWD! I know! Really, the worst juvenile delinquents a small 20th century American town could possibly face, right down to their mailman intimidating cat. The narrator, a “normal” girl and her “normal” family considers Sunday School the one place in town safe from the depredations of the Herdmans, until her mother takes over the dead boring annual Christmas pageant and her brother accidentally lets it be known that free refreshments are to be had in church to the Herdmans (a lie that takes on a life of its own). The setting is a little bit dated, and was even in the early nineties, (what with the cigar smoking and lack of “No Child Left Behind” testing) and the Herdman’s insults can come off lacking many modern niceties but still holds onto a lot of universal feelings, fears, and desires of childhood. The depictions of the unsupervised, impoverished Herdman kids may, at first blush, seem a bit harsh by themselves, but both the “normal kid” narrator and her reactions to the Herdman kids and as well as the adults and fellow children in her life, also present the sanctimonious and conformist middle class citizens of the little town a bit less sympathetic light herself; reminds me a bit of a Lake Wobegon with bite. I guess it does have a pretty Christian, specifically Protestant, message, but it does present it pretty tongue in cheek and the message of accepting people no matter their backgrounds is appropriate for people of any (or no) religious background; the humor, too, knows no faith. 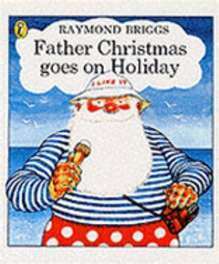 This pair of short comics by the British cartoonist Raymond Briggs became great favorites of my sister and I. I don't recall how long we actually believed in Santa Claus, but this quintessentially English version, with a solitary and grumpy Father Christmas just getting his job done seemed a lot more understandable to us. An elderly man living in a lonely but well appointed house drinking a good pot of tea (somewhere in Northern England? ), pining for warmer climes and happier with a good cognac than cookies. It was very interesting to see the way they celebrate Christmas in the UK explored here, with the puddings and stockings hung on the bed instead of Christmas tree shaped cookies and stockings on the mantelpiece. Sometimes it feels like our favorite things as kids were actually from England! Now, I'm craving a nice workman's lunch like Father Christmas brought with him on his rounds of a cheese and mango chutney sandwich! Things are even more amusing as Father Christmas goes on holiday, visiting France, Scotland, and Las Vegas and spending all his money on cuisine, new outfits, and a little gambling. We found it particularly fun to see "Santa" acting the tourist and having troubles with his tum, his ability to locate sauces, and where to board the reindeer were very funny to us, especially in the beginning of a long Minnesotan winter. Happy blooming Christmas! Earlier this year, after moving into my new place, I dug up some of the boxes in my parent’s basement to consolidate and prune my collections. Of course, digging up some childhood favorites, I had to pause to flip through them again, reminding me of days past when there was plenty of time to read, whether on hot summer days or cold winter nights. Many of these books were Christmas or birthday gifts, of course, the inscriptions from family members still scrawled on the inside covers, 1988, 1990, 1994. How well did they hold up? Australian writer and illustrator Graeme Base was always one of my favorite authors in elementary school and soon after finding his alphabet book Animalia in my primary school library, I became entranced with studying each lush, beautiful page filled with larger than life animals, trying to come up with all of the hidden alphabetical items for each letter. Each letter includes a funny poem highlighting it, such as "Lazy Lions Lounging in the Local Library," which became kind of my mantra. This eye for detail and humor continued with the Discovery of Dragons, published some years later; by that time I was a fantasy-loving kid, and the weird, pseudo-scientific historic examination of the various dragon species was very interesting to me. I'd recommend any of Base's work for story times. Of course, my favorite topic as a kid was definitely dinosaurs, so these imaginative, amazingly detailed books by James Gurney were some of my favorites. Framed as a recovered nature journal of a nineteenth century professor and his son shipwrecked in a lost world of sentient, peaceful dinosaurs, Gurney's paintings really bring the world to life. A true utopia, there is no real conflict (though are some delicious explorations and mysteries of this ancient world), but the story is really told through the pictures. While the dinosaurs themselves are a little old fashioned in their forms (no feathers, a little lumbery), how can one knock messages like "weapons are enemies, even to their owners?" Those dinos have some pretty compelling ideas! I recall spending a lot of time as a kid looking at the art in this lushly illustrated book, which is beautiful and captivating (particularly the little details and asides the fill many of the paintings), but I do not recall if I’d actually read the story. James C. Christensen, a renowned fantasy artist, paints vibrant, ethereal paintings filled with detail, natural and mystical. However, the story is pretty facile and the writing far blander than in Dinotopia, in spite of a similar premise. An answer to Darwin’s HMS Beagle, the Victorian Professor Algernon Aisling, his daughters, and a dashing crew of dwarves and gremlins set out to chart the realms of the imagination, though their results, while enchanting, are rather uninspiring. Picking up quite the menagerie of mythical creatures along the way, less and less space is allowed to give anyone a personality and sometimes we forget they’re there at all; occasionally, they are re-mentioned as if to say, oh yeah, don’t forget, the Sphinx is still there too! Maybe its just because I'm not religious, but the message here, "by believing, one sees," comes off as a bit of a platitude to me. This was, I think, the first picture book I recall being read as a child. It may have sparked the obsession with owls I had until after first grade. I remember my Mom reading it to me, as well as listening to the gentle narration on cassette tape. Jane Yolen’s magical, spare language, and the evocative art of brings this moonlit winter landscape alive, celebrating the natural world. I still enjoy walking around in the snow at night, and throughout my childhood became obsessed with owls, especially owl calls, often going to sleep listening to cassette tape recordings of the calls of various wildlife. I checked Patricia McKissack's The Dark-Thirty from my middle school library in 6th grade, and it became a great introduction into the world of American, specifically African American, folklore, like nothing I'd heard before. Referencing the half an hour around sunset as the time best suited for telling ghost, the stories here are definitely spine tinglers! For some reason, I read this around Christmas, which while not really thematic seemed to suit the dark but hopeful tone of these spooky stories, as it is simultaneously the darkest and the most festive time of the year. Upon returning to the book, the best aspect was that each of the stories, in addition to ghosts, monsters, witches, and other scary supernatural creatures, confront a different aspect of the oppression faced by Black Americans throughout US history, introducing readers to these topics. The evocative, moody drawings by Brian Pinkney compliment them perfectly. I definitely recommend this one! So, it appears that something special is going on today, but what was it again? I forget. Oh yeah! The newest Star Wars movie is opening. Looks like I'll be seeing it later tonight with my parents for my Dad's birthday. I was told that the very first movie I ever went to see was Return of the Jedi as an infant, though of course I don't remember any of it. I'm not the biggest Star Wars fan, as I know next to nothing about the "extended universe," but I do enjoy the movies (or, at least, the Original Trilogy, nothing too surprising there!) so I'm pretty excited about this next one. It seems to be attracting mostly positive attention so far, but even with the trailers, I had a good feeling about it. In order to get in the mood, I've been reading cartoonist Jeffrey Brown's Jedi Academy comics. I have been a fan of Jeffrey Brown since I discovered his touching, relatable, confessional relationship memoir comics like Clumsy and Unlikely and his weird, geeky homage comics like Incredible Change-Bots and Sulk. His emotional resonance and love of pop culture really suit this genre, and it seems he's gotten pretty much a dream gig being put behind Disney's young adult Jedi comic series- there's probably not another cartoonist more suited to the role! Certain to appeal to many kids with its drawing on all things Star Wars, and its very realistic take on Middle School life with the ever popular "magical school" theme. I find it awesome how well Brown recalls the reality of being in middle school, the sudden swings in mood and relationships with especially when you have Yoda as your homeroom teacher. The Jedi Academy series follows the journal young Roan, a normal kid from Tatooine, as he finds himself at the Jedi Academy after expecting to go to the Pilot Academy. Roan, previously unaware of the Force, struggles to adjust with the help of Yoda and the other teachers and begins to find his way. As budding comic artist himself, Roan fills his journals with mini-comics, zines, and clippings from the school newspaper, report cards, Holobook (i.e., Facebook), etc. Brown's humor mixes a lot of situations and feelings familiar to your average middle school students (bullying, grades, first inklings of romance ) with the lightsabers, Wookies, and droids of Star Wars, for a great "chocolate and peanut butter" taste. It is great to see some daily life in the galaxy. I also flipped through Jeffrey Brown's latest entry in his Darth Vader series, Darth Vader and Friends which puts everyone's favorite Sith Lord and other Star Wars characters into amusing everyday situations, in particular family situations. This one is a little less focused than the others, and are mainly one panel, Far Side-esque gags involving various Star Wars characters. Fun, but slight. May make a good gift for the Star Wars fanatic in your life who has yet to have had children! As we move into the chillier times of the year, sometimes its nice to cook something quick, hot, tasty, and comforting, preferably with a lot of cheese or hot broth. Something that is filling and doesn't take too long to prepare, and of course, is delicious. Here are a few of my favorite cookbooks I go to for winter comfort food. This is truly a comprehensive and handy compendium of Indian curry knowledge, including everything you need to know to craft delicious and diverse curries from across the many regions of India, Pakistan, Nepal, Bangladesh, and Sri Lanka. A curry, defined as any dish simmered in a spiced sauce, is probably one of my favorite meals to get me through any day, cold or hot. Offering six hundred and sixty different recipes organized by type, including many vegetarian recipes, recipes for making your own spice blends, and even your own paneer, it is easy to get overwhelmed. In addition to more complex, in depth dishes, there are plenty, particularly in the diary and legume sections, that can be prepped in under an hour and they are all ample. Offering spicy, savory, sweet, and tangy dishes, there is something for every taste as well. My favorites are the many variations of lentil dishes. Some include some more difficult to find ingredients, but if you don't have time to run down to your closest Indian grocery store, good examples for substitutions are also provided. Here in Minnesota, we have a special name for what everyone else calls casseroles, "hot dish," a staple that, during the 20th century, became a staple of many Midwest homes. Generally consisting of some sort of starch, meat, and diary, with maybe a vegetable or two and plenty of salt to make it "spicy," an entire family could survive on one dish for days. Along with a little history of the form, the authors scour old church, school, institutional collections of recipes from the Midwest, exploring some hearty vintage meals. Unlike some other vintage cookbooks, the recipes here are actually edible, if not always pretty. There are, if you can believe it, even a few vegetarian examples in among all of the hamburger and ground pork covered in tater tots. My favorite recipes here are the British style cauliflower cheese, the classic tuna and noodles, and the delicious tian of zucchini, rice, and cheese. The cookbook spin off from the Homeroom restaurant in Oakland, California, nothing says comfort food to me like Macaroni and Cheese. Offering up fast, easy, and innovative mac and cheese recipes, from the classics like jalapeno popper mac to the decadent (and expensive) Dungeness crab mac, there is something for every taste. My favorites are the fresh ginger infused Sriracha Mac and the deliciously goat cheesy Mac the Goat. Weather over baked with a crunchy bread topping or just fresh out of the pot, nothing helps a winter day like a bowl of hot cheese and noodles. The most important thing is the rules of making the mac and cheese sauce provided in the book, which can be stored easily to make a few more dishes. In addition to the macaroni and cheese, the authors provide some side dish and dessert recipes to go with them. The mac and cheese is the real attraction here, though. Nothing says fall and coming cool weather more than when local pumpkins, the large orange squashes, begin to appear in grocery stores. Pumpkin pie was my favorite pie growing up, mostly, I think, due to the ginger, nutmeg, and other spices in the mix, but I started to appreciate the sweet, earthy flavor of the pumpkin itself, and other squashes, later. This looked to be a good cornucopia of recipes all utilizing pumpkins, from entrees to the obligatory desserts. Sadly, in the end, though, I can't recommend this one. In spite of trying a few recipes, including an interesting Southern pecan pumpkin pie, nothing really inspired me here. Too many of the recipes use simple canned pumpkin, instead of fresh baked pumpkin. While baked, pureed pumpkin is discussed a bit in the introduction, there doesn't seem to be much advice on how to make it. A few of the recipes don't even use pumpkin, but are just pumpkin shaped! A have other cookbooks that have much more interesting pumpkin recipes. This is a monstrous collection of soup recipes, one for every freaking day of the year. Taking advantage of the mood, weather, and seasonal ingredients available each month, the recipes are super varied and good for any taste- vegetarian, meat, seafood, they are all there, and from many cultures and cooking traditions as well. What could be better than a hot bowl of soothing soup on a cold winters day? Maybe a thick, hearty bowl of stew? In either case, this book has you covered. This was a fun new cookbook I recently checked out that deals with sprucing up that quintessential comfort food; toast! Some cool ways to make toast without a toaster are included, and a variety of ways to make some delicious use of your toasted bread. I particularly like Grandpa Toast, a quick and spiffy way to make some great sardines on toast, and the French Onion Toast was awesome as well, along with the avocado toast and the spicy red lentil toast. Weather for breakfast, dessert, oer d'oeuvres, or just a midnight snack, there are plenty of fast and easy recipes provided to go through a few loafs.